For Cheryl Regan, patriotism is part of her daily routine. 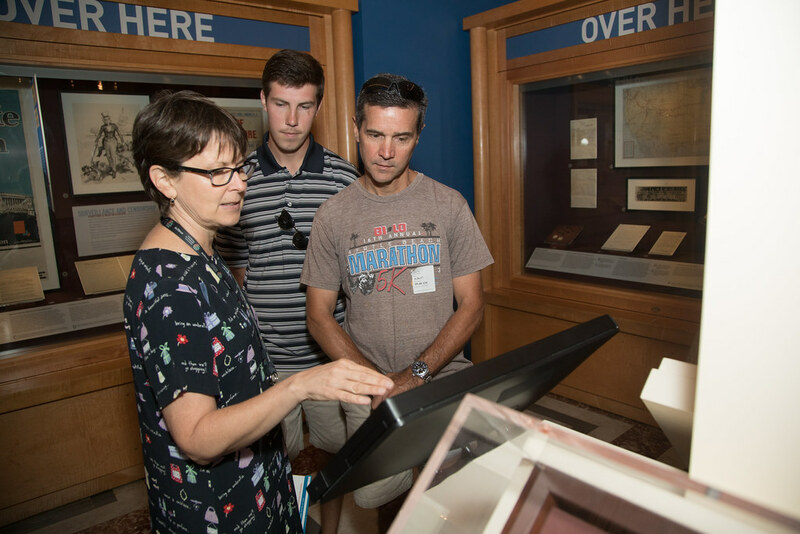 Regan is one of five Library of Congress exhibition directors, a job that entails guiding an array of projects from conception to reality. Each project takes up to four years to complete and involves teams of curators, designers and historical advisers. Approximately nine shows run concurrently, each showing from six months to years. Irene Chambers, chief of the Interpretive Programs Office in the Library of Congress, said Regan is an unbeatable combination of integrity, talent, knowledge, personality and determination. Regan credits her CMU education for her success. “I’m a big booster of the school. More than just learning the art of painting, I learned to think at CMU. Specifically, how to think in a structured, more methodical way, and to solve problems,” she said. Regan describes herself as a “product of the university,” having begun her association in CMU’s pre-college program. After enrolling at CMU as a painting major, Regan said she enjoyed numerous art history courses, many with Professor Elaine King, whom she still considers a mentor. During her time at CMU, Regan interned with Pittsburgh’s Carnegie Museum of Art, and accepted a position there after earning her undergraduate degree in 1983. King asked her back to CMU to help get a university gallery up and running. After three years, King encouraged Regan to move on, to grow and expand, and to pursue a master’s degree. Regan earned a master’s degree in art history at the University of Virginia in 1991.